Would you really want a big money takeover at Everton? The title sounded crazy even to me when I first wrote it. Imagine having the resources to contend with Manchester United and alike for just about every highly rated Spanish or Italian superstar. Or maybe planning the construction of super high-tech stadium and naming it “Dixie”. After all just look at all those success stories we see like Chelsea with Abramovich, Manchester City with Sheikh Mansour and the aforementioned Manchester United with Malcolm Glazer all of which we will take a closer look at later. However paraphrasing Newton’s laws of motion about force having an equal but opposite reaction its worth remembering that not every football takeover is a success story. Let us consider what a brilliant job has been done by the likes of Bernie Ecclestone for QPR, Munto Finance offering a moments false hope to Notts County and worse still is the litany of “super rich” owners that have left poor old Pompey languishing in the lower tiers of English football. I don’t claim to be an expert on either football finance or football in general, my views are that of both a supporter and lifelong fan. This means of course that I am bias in my opinion when I talk about the club I love and cherish but I am of the opinion that I do not want our club to fall into the hand of a random billionaire and I believe that may other Evertonians feel the same. Why? You may well ask and you’d be right to do so. Most of us are familiar with the concept of risk and reward (especially those amongst us who have paid for William Hills holidays with our pre match betting ritual) or in other words “what am I prepared to sacrifice if it all goes wrong “. For me the risk of losing our long tradition of being the “Peoples Club” is one I would not willingly take without a great deal of due diligence. Even then the mechanism by which we evaluate an individual’s credibility or worthiness to take ownership of a football club is flawed. You may well have the money and the proven business track record but unless a potential suitor applies good business sense to his/her investment and avoids suddenly thinking they know how to pick a team or appoint a manager then the result could be catastrophic failure. I said we’d go back to the so-called successful stories of Manchester United/City and Chelsea. True enough they have more cups, medals and titles than I could possibly be bothered to research. They have more commercial leverage than is decent and will no doubt be contending for the top spot for some time to come. Just to rub it in a bit more I doubt they will take the slightest bit of notice of Michel Platini’s Financial Fair Play (FFP) project if it ever gets off the ground. So what’s my point…? My point is what have they sacrificed for their success? We saw the reaction to the change in the Everton crest recently and speaking as a professional marketer nobody at the club would have forecast such a backlash. The loss of “Nil Satis Nisi Optimum” or “nothing but the best is good enough” caused outrage at so many levels because for many Evertonians it sums up our entire philosophy and that philosophy has to be protected if not by the club then by the fans. I wonder just how “in touch” United fans really feel with their club. For all their great wealth they have debts of £307m and it’s no wonder it’s a source of anger among fans since the Glazer family bought United. The Chelsea and City story is somewhat different, both fall foul of FFP, with both teams having completely unsustainable wage bills, both have tinkering owners or player discord filling the back pages of the papers. I wonder just how many of their fans would remain should Abramovich or Sheikh Mansour decide to lose interest? I want us to sign great players but I also want room for our own developed talent like Barkley. I would have hated to see players like Osman or Hibbert passed over for an import. They may not be the most charismatic of players but they carry with them our heart and our passion. Our academy is arguably our greatest asset and represents real hope for the future of the football club and keeping a place for graduating players is essential, something that a rich oil Sheik just wouldn’t have the patience for. We want a manager who understands the game and is given freedom to explore his vision without owner interference. We want to wake up each morning and find our club recognisable and familiar. If that means we get success through hard work and perseverance and not by selling our soul then so be it. After all, despite John W. Henry’s millions we still finished last season above that team in Red. I am not opposed to investment and I know that the current chairman has probably scoured the Globe looking for a rich Evertonian, maybe he met a few when in the US recently. Unfortunately genuine investment is rare. Finding an altruistic investor would be the Holy Grail but I’m sure there is a compromise. Like most I have no answers, just opinions and more importantly an emotional connection to the club that I have always supported. Now at the age of fifty I guess I’m even more reticent about change. I do know however that whatever the future holds for the club, I do want it to remain a football club that is truly an expression of the people who support it and not a manufactured concession or franchise outlet for some anonymous business. If you are reading this you are likely to be an Evertonian and if you are and you have a spare billion under your mattress do the decent thing would you. City and Chelsea were well suported before their latest owners arrived and will continue to be if they (the owners) leave. True we have no say in the decisions they make. But neither do you so far as Bill Kenwright is concerned. Agree with the sentement Paul – but would love the dosh and to be able to compete on a level playing field again. Completely and utterly agree with you. So proud to have always supported a proper genuine club. Would rather support Bristol City than Man City or Chelsea. Guess it depends on what sort of person you really are at the end of the day. Unfortunately genuine investment is rare. Mohamed Al Fayed sells Fulham to Shahid Khan 12 July 2013. Yes very rare is investment, pull you head out..
And since this video was made only a short time ago City have announced plans to extend the stadium to 60,000 and bought created a club in the USA for 300 million. What next? Easy to say you wouldn’t want it when it’s not on offer. Having a patient, hands-off trillionaire owner like Man City would be terrible. In case you hadn’t noticed, I’m being sarcastic. Everton is the Man city of Liverpool. When kids grow up on Merseyside and choose a team, the plastic glory hunters don’t choose Everton. The team wouldn’t lose its soul. City will not fall foul of FFP. Anyone who has looked at the state of the City accounts can see that City will comply with FFP guidelines. Indeed City will probably make a profit this season. As to Everton – if Bill Kenwright and the board hadn’t been complete armatures and REFUSED to sign a non disclosure agreement, the Sheikh could have bought Everton rather than City. Doh! Bloody right I’d want to see us compete with clubs who, without their money had won nothing for decades If we don’t find the means to build a new stadium and compete with other clubs for players, then slowly but surely, we’ll settle down into a cosy little club, happy to stay in the premiership…if we’re lucky. 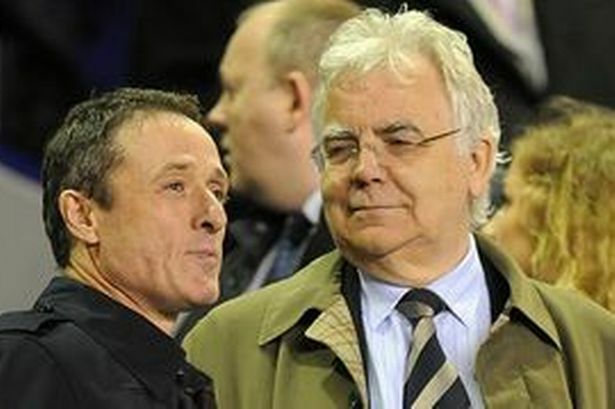 Sell your shares Kenwright and let the club flourish. Greetings, pennyless football fan of liverpool! Is Sheik mansour, owner of manchester city and manchester city council. I nearly buy manchester united, but Alex ferguson hit David beckham over the eye with football boot. Oy! Is very bad insult to hit man with shoe in my culture! Oh, I cannot say! Is very bad! This happen when american with red hair buy club. So I bail out your barclays, and put £3Bn profit I make in supersaver account. My friend Thaksin Shinawatre make me watch Man City, I get addict to helter skelter and I “mad for it”, as you say. So I buy club in same town as american to show well run club. Also get best slots at Manchester airport for my airline. My cousin in Dubai look at Everton, but Rolls Royce standing on bricks when he return to car. May the seed of your loin be fruitful in the belly of your woman Inshalah! The only way any team will compete with them is if they do a City or Chelsea but if people are happy with united winning the league every year then fine. There are so few foreign owners that have been “successful” and you have to ask why is a foreign owner prepared to invest in an overseas club……in most cases it is about either good investment or security / noteriety or delusion ..for Ambromavich it was/is his Get out of Jail Card……British Citizenship…..he could be languishing in a Siberian Prison now…..Glazers’ is about profit on the cheap loans….Man City is about toys for a Sheikh who is branching out of Middle East……. City should just about break even regards FFP this year, and be in profit in subsequent years. Although it doesn’t guarantee it, the new academy should start to produce quality home grown talent very soon. Watch the excellent video above to get the full picture of what’s coming soon. One of the unforeseen consequences of FFP is that from now on, it will be virtually impossible for clubs to get the kind of investment on players that City and Chelsea have had in recent years. The version of FFP voted for by the premier league clubs recently will have the effect of locking-in the big 4 or 5 clubs into the top of the league. The rest of the teams will be left fighting to avoid relegation every season, with perhaps the odd cup semi-final appearance. If you unearth a young superstar from your academy, it won’t be long before he’s talking about his dream of playing in the champions league. Sad but true. I am very much a man of sentiment, it is easy to say you wouldn’t be bothered about the money when it isn’t there and it is very true, your not like I wasnt as a City fan who has owned a season ticket long before the money came. Thing is if money does come it does not change the way you feel for your club and investment now is needed more than ever otherwise the financially strong club stay that way under fair play rules, say Everton want to go wild and spend 20 million on a signing that would raise the profile of the club, well they can’t once that fair play officially comes in if it does not balance the books. And just to point out our owner at City is doing wonderful things including creating thousands of jobs, education opportunities and just a down right fresh outlook on life for many youngsters that might otherwise end up in jail, he should get some more respect off people for these things that don’t have to be done when you own a football club. Good article written by a fan, not a financial expert or an expert in your club…the general feelings can’t be ignored much as City fans want to believe their rich owners are that Altruistic we want to believe that our ‘proper’ club can achieve with clever management until the EPL implodes, and we are left with a chance to compete. There is definitely something in being the underdog, expectations tend to be realistic and achievement is all relative. In conclusion I would welcome the chance to compete, but relish the chance to put two fingers up to the big four or five if you are a delusional kopite! You have no chance of making an impact on the prem with your proper club. Look what happened to City a few years ago before we had any money. Any player that came through the ranks that was any good like SWP or Sturridge was just bought by a bigger club and put in their reserves. The same happens to Everton. A club without money cannot hold on to its best players long enough to build a top team. Speaking personally, I was one of the thousands who finally managed to get a season ticket when we left Maine Road – there just was no possibility prior to that. And I’ve never heard of any shortage of season tickets at Goodison. City are the club who drew average gates of 27,000 in the THIRD division. Following the 2006/2007 season – before Thaksin Shinawatra or Sheikh Mansour – when City managed to score 10 goals at home ALL SEASON, there was a waiting list for season tickets. City are a genuine club with true fans who got lucky. A Manchester version of us (except historically we were better). Not for much longer unless we also get lucky. Chelsea were rubbish – now filled with fake fans and wannabees. Can’t stand them.